Home Inspection Boston & Cambridge | JBS Home Inspections Inc. The details listed on a home inspection report can make or break your final purchasing decision. With this in mind, JBS Home Inspections provides a personalized, thorough, and detailed report that’s easy to understand. We’re also happy to answer any questions you may have. We believe that writing comprehensive reports in an easily accessible manner is the best way to help our customers make an informed choice. When most people think of home inspection services, they automatically envision the buyer’s side of the deal. However, we also strongly encourage sellers to have their home inspected before putting it on the market. 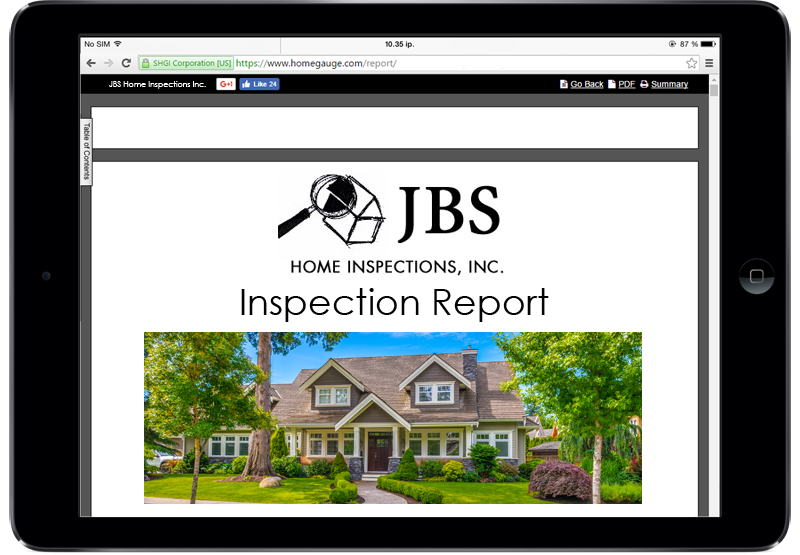 We make it easy for buyers, sellers, realtors, and brokers to find the perfect inspection style for their needs. Buying a house is often equally exciting and nerve-wracking. We bring our extensive experience to each inspection to help you gain peace of mind and become fully educated about your future home. We also understand the importance of communicating in plain English, so you won’t get bogged down by unnecessary industry jargon! We use the convenient HomeGauge Companion app to build and deliver your home inspection report in a timely manner. From there, you can utilize HomeGauge’s Create Request List™ to easily add each necessary repair into your repair addendum. This saves buyers and agents lots of time, and it also helps ensures that your repair addendum contains the most pertinent details. Our team places a major emphasis on making each inspection a convenient experience for our customers. We’re also fully committed to showing respect for everyone involved in the process, including buyers, sellers, and brokers. We’ve designed our business to uphold these values and to simplify things for you as much as possible! Our inspectors love to educate people about their future home. We encourage you to join us on inspection day!